WiFi Hotspot or wifi zone with your name and logo. Create or control your wifi network in a simple and powerfull way. The current price includes the initial setup-fee and 1 month of cloud wifi hotspot service. Please read completelly the current product description before any payment. You must comply some requirements in order to get the service working as it is described. Create or control a WiFi Hotspot or wifi zone with your name and logo. This is possible by taking the current offer. 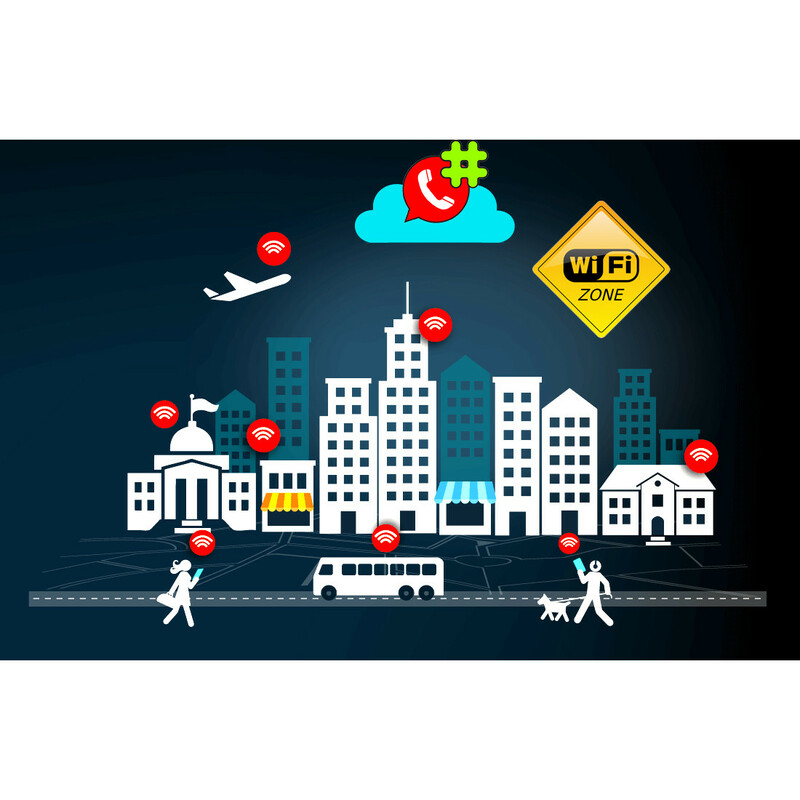 Cloud HotSpot platform helps you build your WiFi and scale as you grow. Connect routers, customize splash pages, limit user Internet access, engage social WiFi users, check statistics and analytic. Hosted by Hablaporinternet.com, managed by you from any device. Connect supported APs, routers to the Hablaporinternet Hotspot Cloud WiFi system and manage your WiFi from any device. We manage the system, and make sure it’s up and running. Hablaporinternet solution controls user Internet access, sets limits, processes payments*, engages users, provides powerful analytics and helps you run different marketing strategies to maximize revenue from your WiFi. All APs & routers connects to a central cloud server for authentication. Configure your APs, brand your pages with logo and background, choose how will customers login – Social network, video ad campaigns, login code vouchers, or setup billing*. * Receive credit card payments and billing are optional features with extra cost. Customer has already got a supported wifi router or access point device. Please check the supported models here! Customer will be the unique responsible for the wifi router configuration. It means all activities for its administration, operation and maintenance. Hablaporinternet will provide guides or tutorials for radius and hotspot configuration for the supported access point device. Hablaporinternet engineers will not setup or touch any customer devices or equipment. Customer is the responsible for administration, management and operation of his/her infrastructure. Hablaporinternet is the responsible for the cloud solution only. Hablaporinternet is not obligated to solve questions or issues related to customer routers wifi signal, radio interferences, topology, network management, security, site surveys, end user devices, end-user software, etc. Hablaporinternet suggest the customer to buy wifi router or access points from companies that provide warranty, technical support and training.